Intensive night cream that helps cell renewal and strengthens the connective tissue, nourishes in depth and rejuvenates the skin, thanks to the unique natural complex of 100% snail extract and natural Bulgarian rose oil. The snail extract and rose oil are well known antioxidants with strong anti-aging and Hydro-Energising effect thanks to their content of natural vitamins, proteins and valuable trace minerals. 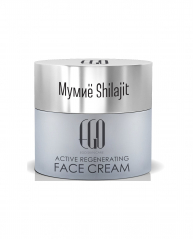 Helps maintaining the elasticity and strength of the skin, keeping its natural radiance and hydro balance and, at the same time, protects it from the harmful effects of the environment. Suitable for normal and dry skin. Without parabens. Without colorants and fragrances to prevent irritation of sensitive skin. 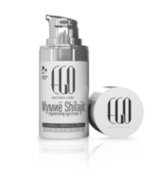 Use: Apply in the evening on cleansed face, neck and decolletage with gentle massage movements. In case of contact with eyes, rinse with water. Storage: Store in dry and cool place without direct sunlight at temperature between +5 - +25 degrees.